What do you think of my Christmas Trees? 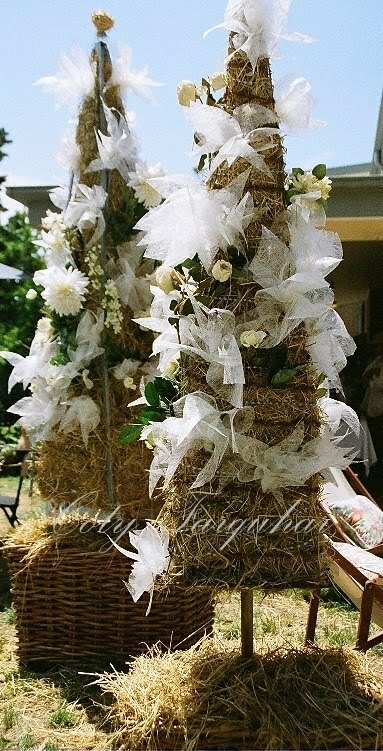 I made these two trees with bundles of fresh hay and lots of hand made white flowers. 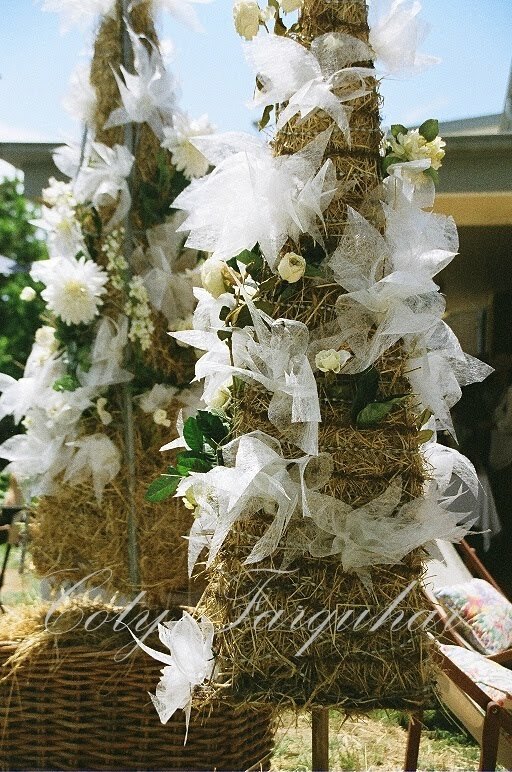 A little bit country & rustic .... don't you think? How much fun, I would love to have a whole field of those cheery trees! Your creations make me smile! Just lovely! Hi...Your Christmas trees are fabulous. They remind me of weddings. I love your blog, and will be dropping by often. My name is Rosalie and I post under mudderbear. 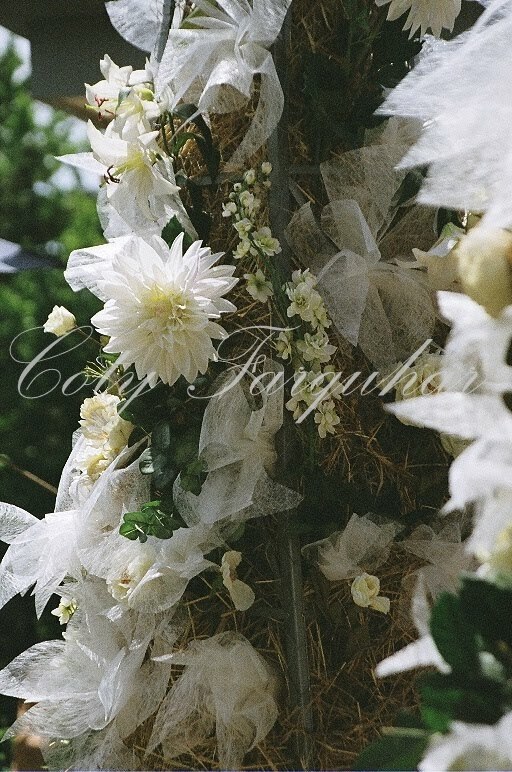 Coty your creations are so dreamy and delightful!! I adore this tree for the holidays! How cute.. I've been waiting to see your christmas tree since last year's fabulous effort.. Always something clever from you!!! Will you have an inside tree this year also?? Now I wish I was in the southern highlands to visit you.. currently looking up trips to Fiji for christmas.. hahaa.. anywhere but here!! I can though pop over and visit your daughter's blog... I'm the apple hasn't dropped far from the tree!!! How adorable your trees are...warm and festive!! oh my god, those are phenomenal! So clever and imaginative, love em!